#61 Only the Lithuanian language has similarities to the Latvian language. No other language in the world is similar. Latvian and Lithuanian languages come from the Baltic branch if we are looking at the language tree. 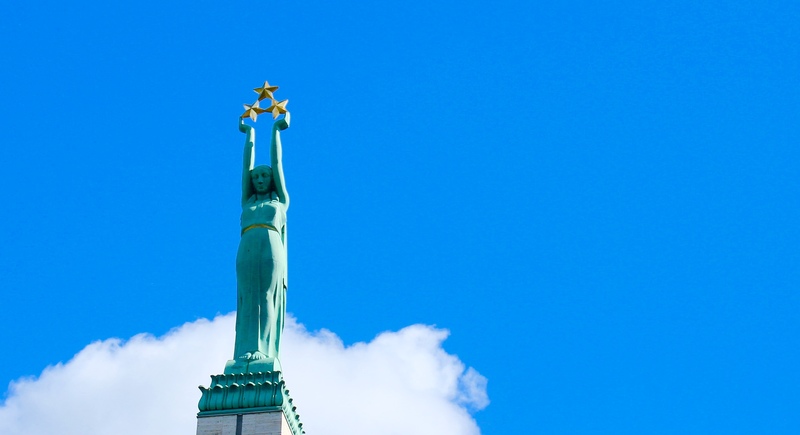 #62 The iconic Freedom Monument in Riga was built in 1935. It is 42 meters high and was built from citizens’ donations. #63 Vestards Simkus is one of the best new time piano players in the world. #64 In Latvia, it only takes one day to found a company. #65 We Latvians like simplicity. In the 30’s, we started to use the Italian word “ciao!” between friends. We still say it today..
#66 Latvians can be easily recognized by their names, which always end with an ending s for men. #67 It is considered that Latvian language dates back to 5th-7th century when Latvian and Lithuanian languages separated from each other. However, the oldest known examples of written Latvian are from year 1530. #68 The legendary candy ”Serenade” was created in 1937 when a shy “Laima” chocolate confectionery master decided to confess his love to his girlfriend by creating an original candy from English jelly, apricots and nuts. This is the only recipe that still remains as an exclusive property of the factory. 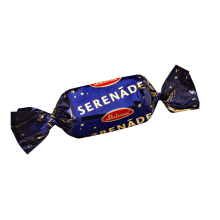 “Serenade” is one of the most popular candies in the country. #69 In 1960, Janis Robins created a new way to proceed with metal manufacturing, which by the way, is used in 90% of all factories in the world. One of the first companies to use this technique was John Deere. Not long after that, Daimler-Benz started to use it too. #70 In 1912, Latvia won Bronze medal in Olympic Games with a help of the shooter Haralds Blaus. #71 To achieve the set targets for the iconic “Latvian Song and Dance festival 2018”, a new stage is being built to replace the existing one. The stage has to be so big that more than 16 000 people can sing standing on a single stage at the same time. 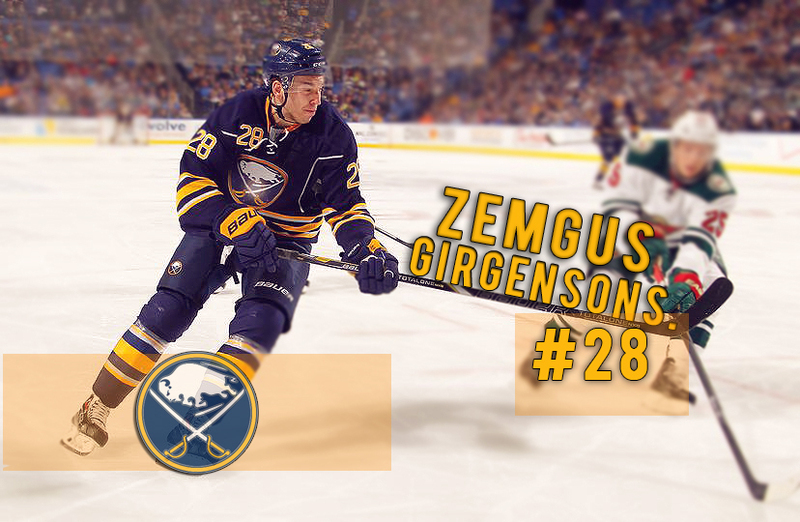 #72 Zemgus Girgensons is a Latvian NHL hockey player. In 2015, Z.Girgensons was chosen in the All Star game with the highest vote score. #73 Almost every Latvian is able to speak in 3 or more languages. #74 In 2015, the legendary race “Pikes Peak International Hill Climb” took place in the USA. For the first time, the race was won with an electrical car. You think it was Tesla? No. The car was created by a Latvian company, Drive eO. Their specialty is to develop electrical and hybrid cars. The company also launched the first ever hybrid electric car for the Dakar Rally in 2012 and named it OSCar eO. #75 Latvia, along with Canada and Finland, are the only countries in the world where ice hockey is the national sport. #76 Aleksandrs Laime from Riga was the first recorded human to reach Venezuela’s Anger Fall in 1949. Funny note – his surname ‘Laime’ means ‘’Happiness” in English. #77 Riga is often called as the World’s Capital of Art Noveau. 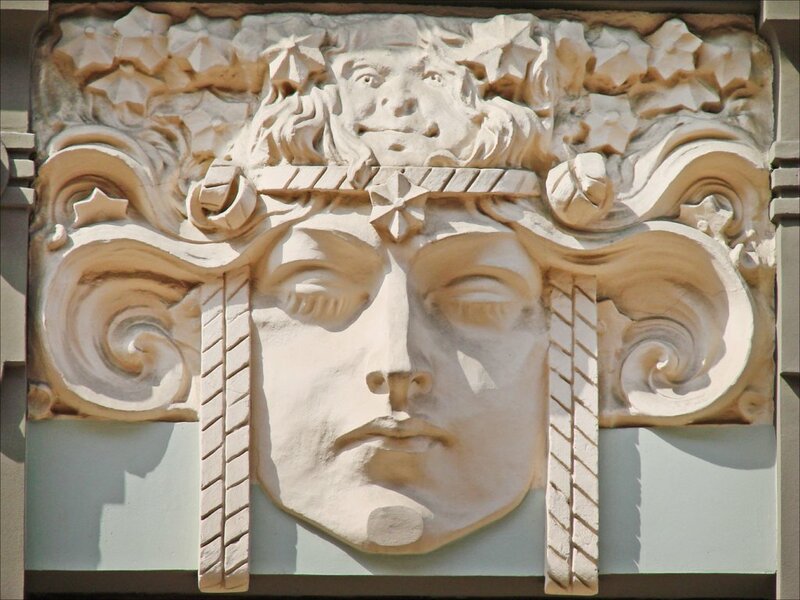 Latvian architects designed over 60% of the distinctive Art Nouveau style buildings in early 1900’s. #78 Latvia’s national animal is the White Wagtail. Scientists still do not really know why the bird wags its tail. #79 We don’t have gold and diamond mines, but we have amber and wood everywhere..Literally everywhere. #80 What do Madonna, Sting, Lady Gaga and U2 have in common? They all use the same microphone brand – JZ Microphones. You guessed it right – a Latvian company. #81 Latvia has the fastest growing bio cosmetic market in Europe. #83 Latvia has 3 international ice free ports and Riga airport serves direct flights to more than 65 different destinations. #84 Before the Italians created acid from lemons, Latvia was the first country to produce citric acid from molasses. #85 We like our Capital City so much that 1/3 of all the people live there. #86 Latvia takes 5th place for producing the most models per capita in the world. #87 In 2016, there were 1 956 526 Latvians living in a territory of only 64 589 square kilometers. #88 Who remembers James Bond and his secret spy camera scene? Minox created the first spy camera in Riga, Latvia by Valters Caps (Walter Zapp). #89 In 2017, Riga hosted the start of the Gumball 3000 rally “RIGA-MYKONOS”. #90 In 2016, it was calculated that due to USSR occupation (approx. 50 years) the overall damage done to Latvia is 185 billion Euros worth. #91 Although our country is small (~550 km from one side to the other) we still use 3 different language dialects. And we love to make jokes about all of them. 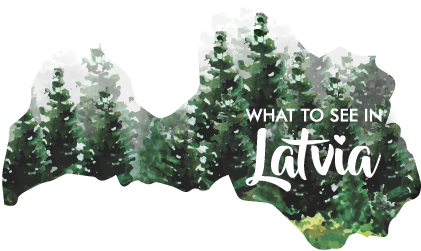 #92 If you’re not a fan of crowded beaches, then Latvia is the perfect place for you. We have 500 km coastline with fine beach sand so you can find a spot or even a kilometer just for yourself. #93 In the 17th century, Latvia owned a bit of the Caribbean – Kunta Kinteh Island in the estuary of the Gambia River and Tobago in the Caribbean. #94 By the end of June, Latvians enjoy almost 20 hours of daylight. #95 The most popular surname in Latvia is Berzins (Birch in English), and the most popular first name is Janis (John would be the English version). #96 Did you know that Robbie Williams made one if his latest songs “Party like a Russian” with one of best Latvian choir “Gaudeamus”? In total they made 3 songs together. Up to now only 1 has been played. #97 We do not have mountains but we love snowboarding. “Baltic Snowpark Agency” is ranked as the best companies setting up snowboard tracks around the world. The company also made the track for the Olympic Games in South Korea. #98 An average Latvian is 2 times more active in social internet platforms that the rest of the world. #99 In 1937, Latvian company VAIROGS signed a contract with Ford, building cars in Latvia. All the parts excluding the seats and the color were shipped from USA. The car was called Ford Vairogs. Happy 99th Independence day, Latvia! ?? I was very happy to share these 99 facts with you and I was really surprised to see THAT MANY VIEWS! ? Thank you for all the comments, emails, shares, likes and kind words! ❤️ I hope you were just excited as me to learn so many new things about Latvia. If you haven’t read the first two parts, check them out (part1 and part 2)! ? P.S. As you might have heard, Riga has been named the best-value city for a Christmas market mini-break. Yeey! Vēl pieliec leģendu par vācu krustnešiem, vēršādu un lībiešu vecajiem, no kā pirmais Vecrīgas kvartāls radās. ? Gribētu precizēt, ka Latvijas 1. olimpiskā zelta medaļa netika izcīnīta 1912. gadā. Dear Ilva, thanks for the great ideas, we have just returned from Rīga, and checked out many of your suggestions, places, restaurants, etc. Keep up the good job, and next time you want to write about something, why not the bog in Kemeri National Park? It is a hidden gem.